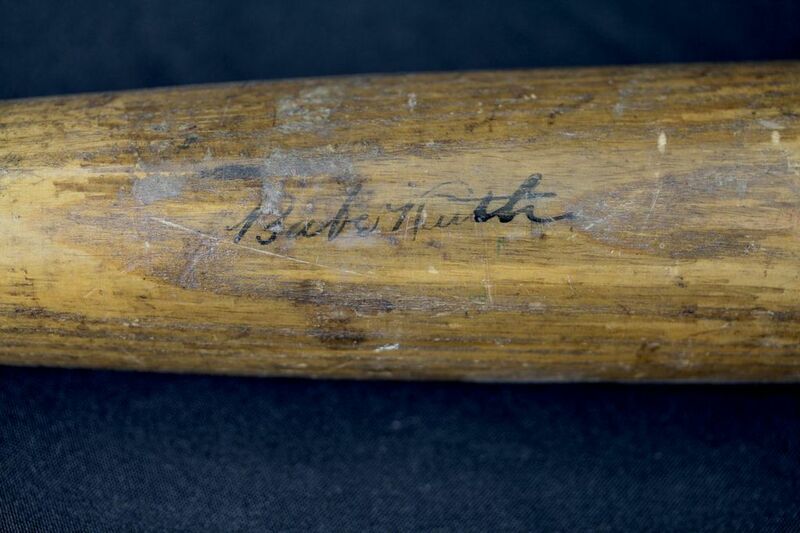 Babe Ruth's signature baseball bat will be one of many artifacts on display at the Reagan Library's Baseball! The Exhibition” April 4, 2014 through September 4, 2014.
important players and organizations. Also featured will be rare artifacts related to Ronald Reagan and baseball from his days calling Chicago Cubs games, to signed balls and jerseys he received while President. The exhibition celebrates the great American pastime of baseball by showcasing the glory days of baseball from the first balls, bats, gloves and uniforms ever used, to bringing together the most iconic pieces of baseball history, such as Joe DiMaggio’s record-setting ball that drove his 56 game hitting streak and Babe Ruth’s 1939 uniform from when he coached the Brooklyn Dodgers. The Reagan Library is located at 40 Presidential Drive in Simi Valley, California. Public hours are from 10 a.m. to 5 p.m. daily. The Museum is only closed on Thanksgiving Day, Christmas Day and New Years Day. For Museum Admission fees, please visit www.reaganlibrary.com. Museum exhibit tickets may be pre-purchased at www.reaganlibrary.com/tickets. 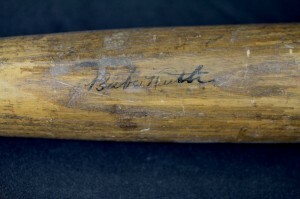 For more information, call (800) 410.8354 or visit www.reaganlibrary.com/baseball. By Margie Anne ClarkNORTHRIDGE, Calif. – In an unprecedented move to encourage volunteerism in the Golden State, Gov. Arnold Schwarzenegger signed the first-in-the-nation executive order to establish the new position of Secretary of Service and Volunteering. Schwarzenegger’s action is envisioned to improve coordination of volunteer efforts between California’s state departments and agencies. The order was signed by Schwarzenegger on Tuesday during a press conference held at California State University Northridge’s Plaza Del Sol. Newly appointed Secretary of Service and Volunteering, Karen Baker will be a member of the Governor’s Cabinet. Baker, 46, of Sacramento, has served as executive director of California Volunteers, formerly known as California Service Corps and the Governor’s Office on Service and Volunteerism, since 2005. Schwarzenegger said that while government can give direction and impetus, real change has to come from people working together in their communities. First Lady Maria Shriver – whose father Robert Sargent Shriver Jr.’s career and the Kennedy family legacy were founded upon service to country – stressed the importance her husband’s action which is expected to raise the profile of service in the state of California to a national level. “I’m a big believer in uniting people to create change and achieve a positive legacy in their own lives, in their communities, in their state and beyond and it is through the act of service that this goal can be attained. Today as we elevate service, we elevate our fellow Californians to be 38 million strong,” said Shriver, who serves as California Volunteers’ honorary chair. In statements to Gov. Schwarzenegger and First Lady Shriver, presidential candidates, Sen. John McCain, Sen. Hillary Clinton and Sen. Barack Obama lauded Schwarzenegger’s call to action. “Service to one’s country and community is the most noble of things an American can give. For a state the size and influence of California to elevate service and volunteering to such a prominent position in government says a lot about the state’s people and about the priorities of Governor Schwarzenegger and First Lady Maria Shriver,” McCain said. Sen. Clinton said the new position will help to ensure that California’s volunteers are fully integrated at the highest levels into the state’s efforts to build a better California. “I commend California for taking civic engagement and volunteerism to a new level by announcing a cabinet level secretary of service and volunteerism,” Clinton said. Sen. Obama praised Schwarzenegger’s action as a defining moment in the nation’s history. “The Governor’s decision to elevate civic engagement to such an important level reminds us that the call to serve is one that transcends partisanship and has the power to unite this generation around a common purpose,” Obama said. “America is a great nation precisely because Americans have been willing to stand up when it was hard, to serve on stages both great and small, and to rise above moments of great challenge and terrible trial,” Obama added. In the top photo, Gov. Schwarzenegger introduces Karen Baker as the first-in-the-nation Cabinet member for Service and Volunteering. Photo by Duncan McIntosh, Office of Gov Schwarzenegger. In the second photo, Schwarzenegger stresses the importance of volunteering. Photo by Duncan McIntosh, Office of Gov Schwarzenegger.